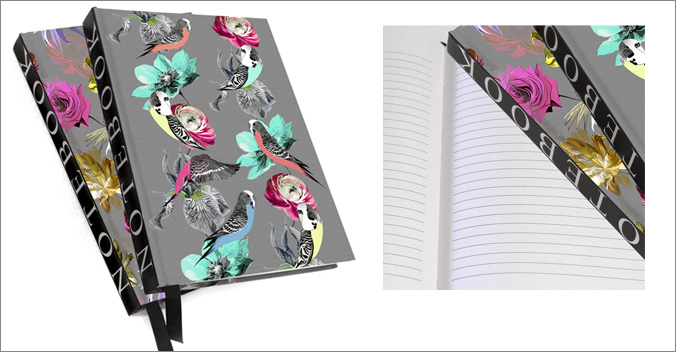 Large Notebooks / Journals - A5 size. Design on the front cover is repeated on the back cover. Ruled internal pages.